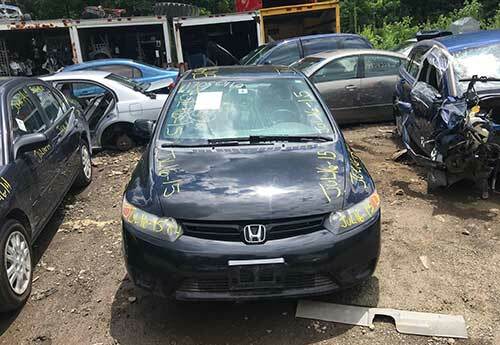 John’s Truck and Auto Salvage is an auto dismantling facility that specializes in the disassembling, preparing and selling of recycled auto parts to both used auto part resellers and the individual buyer. We specialize in reclaiming both foreign and domestic used auto parts from salvage automobiles and trucks.We have over 30 years experience in the auto salvage industry. Located in Kingston, New Hampshire we are dedicated to providing low cost alternatives in purchasing auto parts to the consumer and contributing to recycling efforts to keep the world clean and waste free. John’s offers the ability to purchase both new, aftermarket and used car parts to the public. We also feature an used car inventory for those wishing to purchase a low cost purchase option on a good working vehicle. Give us a call to inquire about purchasing new and aftermarket parts or discuss questions concerning our used car sales inventory. We offer a 90 day warranty on all purchases and are open 6 days a week EST. We offer Nationwide Location of all parts and timely shipping options. Exporters are welcomed. Cars are cut across at the level of rear seats on 2 parts saving many parts of the half cut car in good condition allowing future sale. This method is greatest for cars that have minor visible damages. Depending on the size of autos, about 6 cut vehicles can be loaded in one container using this method. Cost-saving cutting method is used is when rear damage is done to the vehicle. The front of the vehicle and all doors are taken off. If a rear part contains undamaged body parts, it will be disassembled. Some body parts of the front cut car such as middle pillar, rear quarter panels, rails and roof can be also are cut if desired by the customer. Such method allows loading from 8-14 vehicles in container. 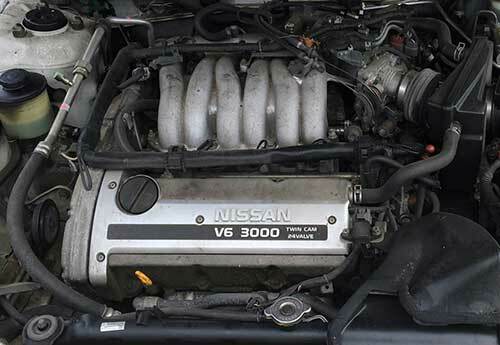 We have lots of used motors and engines.. We find that our customers want to keep their vehicles and want to buy a good, working engine with lots of miles still left in it. We have your motor (engine) we carry all makes and models and have both domestic and foreign 4 cylinder, 6 cylinder and 8 cylinder engines for your vehicles. Our engines are affordable and available 6 days a week.. Call 800-894-4361.